There are no intimidating banners of ripped models flaunting six packs. Instead, as I enter Chennaia��s newest gym, Anytime Fitness, pictures of regular peoplea��grabbing coffee and using a treadmilla��greet me. The mantra of the US chain, which opened shop in Anna Nagar just a few weeks ago, is clear: the best fitness for people on the go, any time they want it. The 3,800 sq ft gym, with carpeted floors and high-density rubber mats (no vinyl flooring anywhere), boasts over 60 pieces of equipment, with dedicated sections for free weights, cardio, strength and cable motion, besides a TRX station and a stretch station. a�? There are four reasons why Anytime Fitness is better than anything you will find in Chennai,a�? explains Ajay Johnson, one of the franchisees. a�?We use Life Fitness and Hammer Strength equipment, which have the best bio-mechanics and wona��t hurt people. (They replace their equipment every five years.) We are open 19 hours a day, seven days a week, 365 days a yeara��giving you the best chance to keep up with your regimen whenever you want to. (Licensing permitting, they plan to make it a 24×7 gym.) Our security tag system (with imported key passes) gives you access to all of our over 2,100 clubs across the world. And finally, our trainers are all ACE (American Council on Exercise) certified.a�? But I am quite impressed by the little details, too. Like security cameras at their open storagea��ensuring that you dona��t have to leave behind your things at your own riska��and bathrooms equipped with rain showers. a�?We also plan to have outdoor activities, like a cycling day or a rock climbing day to encourage social connections and networking, and to make working out fun,a�? he adds. In a couple of months, Johnson will launch Group Ex, his own fitness venture, just above Anytime Fitness. 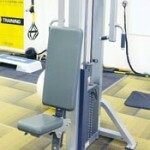 Focussing on group exercises, it will have imported equipment for functional fitness. a�?We will give members one-hour guided sessions on functional movement using rebounders and suspension training to battle ropes and monkey bars,a�? says the TAFE certified trainer with over seven years experience. a�?We will do what boot camps do, but indoors, and with more safety,a�? he says, adding that the space will have retractable walls, so you can have an intimate class of just six people to large classes of 50. 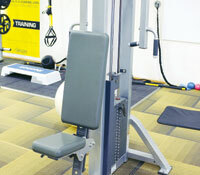 Also expect gravity training, CrossFit, yoga, Zumba, aerobics, aero boxing and more.